‘During the 70’s, the women’s movement, the economic pressure, and the rapid changes regarding traditions and values forced most women in the United States to re-examine themselves and the institutions they were a part of. The National Congress of Neighborhood Women (NCNW) emerged because a group of women- largely poor and working class- whose roots are based on the family and the neighborhood, needed a forum to express their issues. Out of this need grew many ideas that led to the development of institutions shaped by and for low and moderate-income women. These institutions were different from those shaped by the more popularly known women’s organizations in that they did not pull women “up” and out of the family and neighborhood. In fact they not only assisted in recycling the women’s role, but they improved the women’s functioning in both. 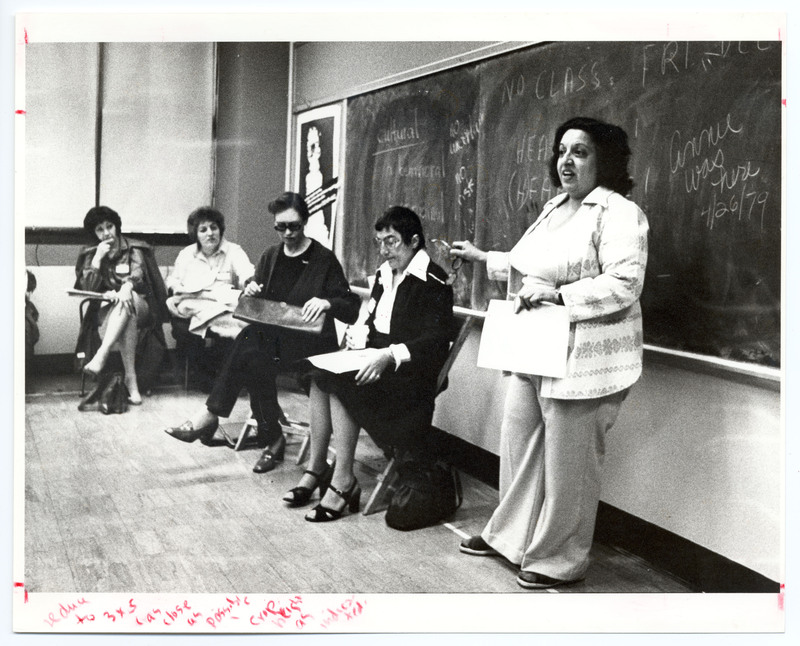 One of the earliest programs developed by NCNW was a neighborhood-based college program which was co-sponsored in 1975 by NCNW and La Guardia Community College. Perhaps education was first because it is perceived by disenfranchised people as the one institution that allows them access to the “greater society”. Because NCNW believes that the only way to reach poor and working-class women is by offering clear, concrete solutions to their problems and personal support systems, the college takes on a new meaning. It was apparent from the beginning that a new model of education was needed. 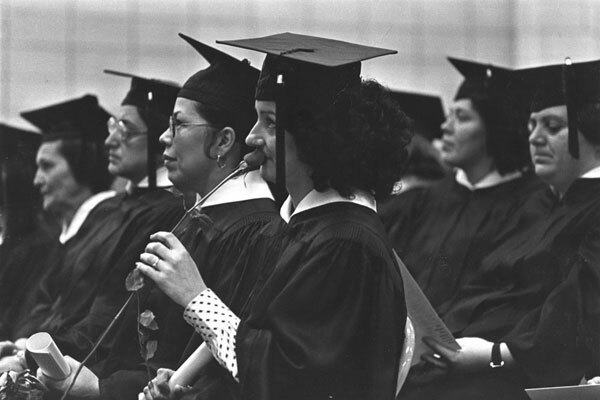 The university system as it now exists has done little to reach poor and working-class women. This is true pragmatically, financially and in terms of accessibility. The story of the development of the neighborhood college and the sharing of the process is being developed so that other women can start neighborhood colleges and have a chance to write their own stories. This article lays out the beginnings and rationale for the college. Any-one wanting to begin a program can call NCNW for help. 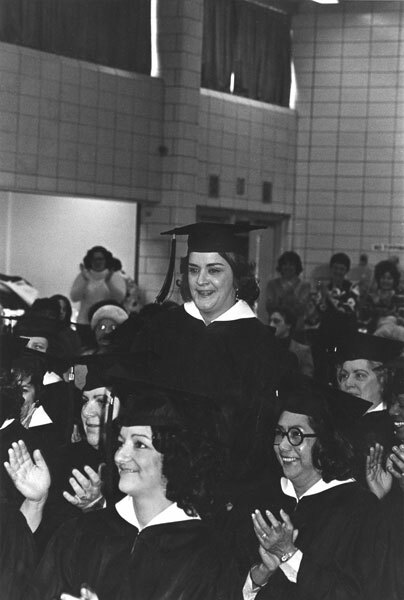 The Neighborhood Women College program later incorporated African-American and Hispanic women from Williamsburg-Greenpoint, Brooklyn. The women attending the program as well as the NCNW staff were able to choose the faculty, based on the belief that they should respect the ethnic diversity and heritage of the women. 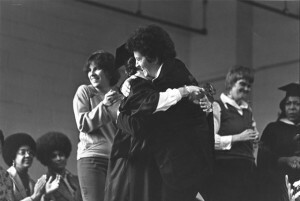 The curriculum was developed in collaboration between NCNW, students and faculty. 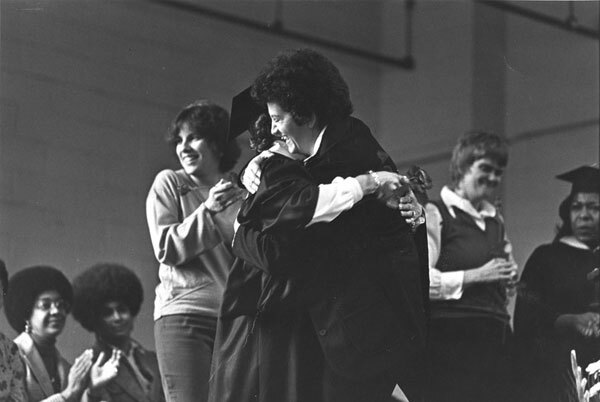 By 1980, the NW college program model had been replicated in six other locations which included the neighborhoods of Bushwick and Carroll Gardens in Brooklyn, NY, and in Rochester, Pittsburgh and Philadelphia. Upgrade the self-image of working class women by developing their potential talents and changing their status both in the family and in the neighborhood. Enable the women to act as agents of change in their communities by providing them with technical assistance and an understanding of today’s urban possibilities and problems. They will then be able to use their leadership to develop their communities and carry out projects. To help their communities get a fair share of economic resources and educational, community, and cultural services. Course material should be community oriented. Content should be selected with sensitivity toward students’ gender, ethnicity and class. Cooperation and collective effort stressed.